Eric Carle's The Very Hungry Caterpillar is a much loved classic. 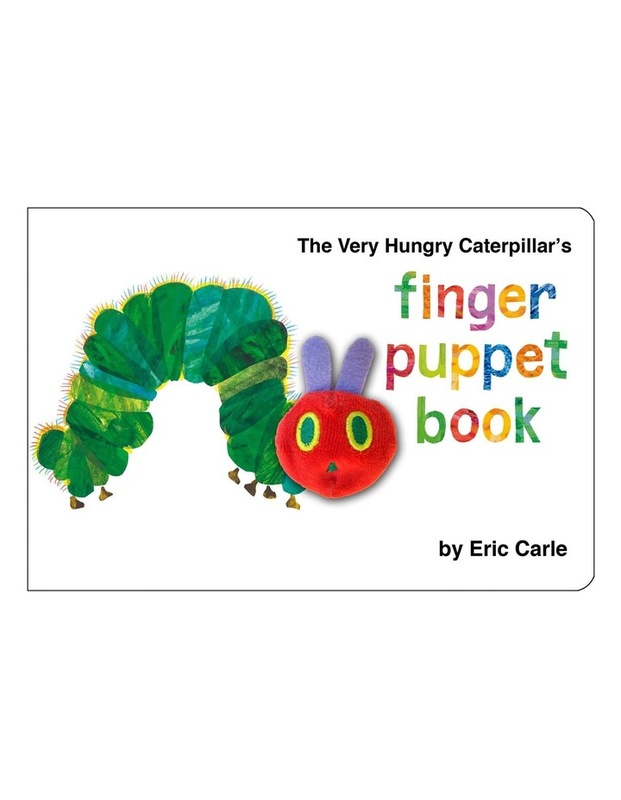 In this finger puppet edition, the interactive format lets babies and toddlers join in the fun as the plush caterpillar finger puppet literally wriggles his way through the holes in each page, munching and crunching through foods before transforming into a beautiful butterfly! Count along and identify colours as the caterpillar eats his way through! This board book is a perfect way to introduction the classic story of The Very Hungry Caterpillar to young children.